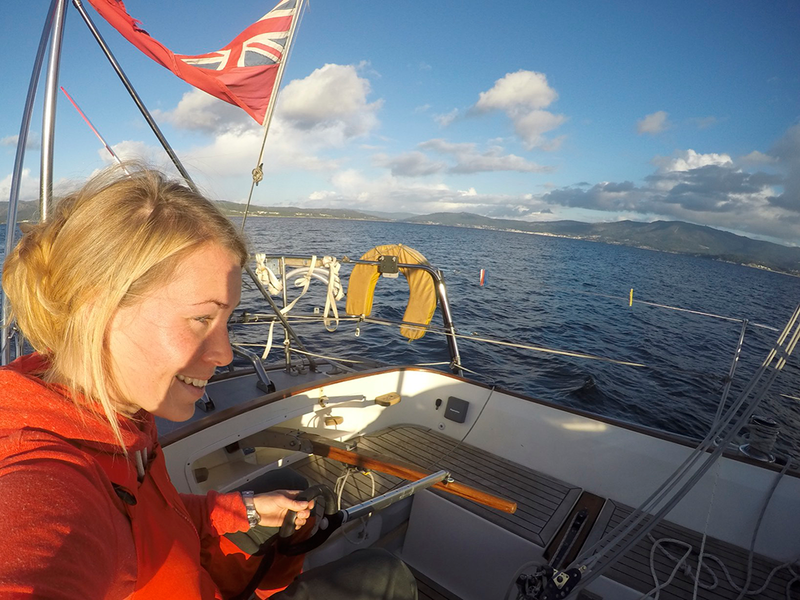 Susie is the youngest skipper competing in the 2018 Golden Globe race, and the only female, and will circumnavigate the globe unsupported - sailing 30,000 miles using technology from the late 1960s to recreate conditions from the original Golden Globe Race. To celebrate Sir Robin Knox-Johnston’s historic 1968/9 world first solo non-stop circumnavigation, a new Golden Globe Race will be staged this summer to mark the 50th Anniversary of that epic venture. Entrants are limited to sailing similar yachts to those available to Sir Robin in that first race. That means sailing without modern technology or the benefit of satellite based navigation aids. The challenge is pure and raw, placing adventure ahead of winning at all costs. 1. Susie can you tell us a little bit about yourself? I’m a sailor, currently preparing for the 2018 Golden Globe Race, which is a re-creation of the original GGR held in 1968/69. 2. What age did you learn to sail? I was 3 when I first went sailing, not that I really remember it when I was that young. My parents used to take my brothers and I sailing on yachts so we spent most holidays sailing together as a family. 3. Have you always been sporty? I have always been into sports, throughout school I was on the sports teams and now it’s still my life. 4. What sailing experience do you have? Most recently I have been sailing up in the Arctic, Northern Norway, Iceland, Greenland. 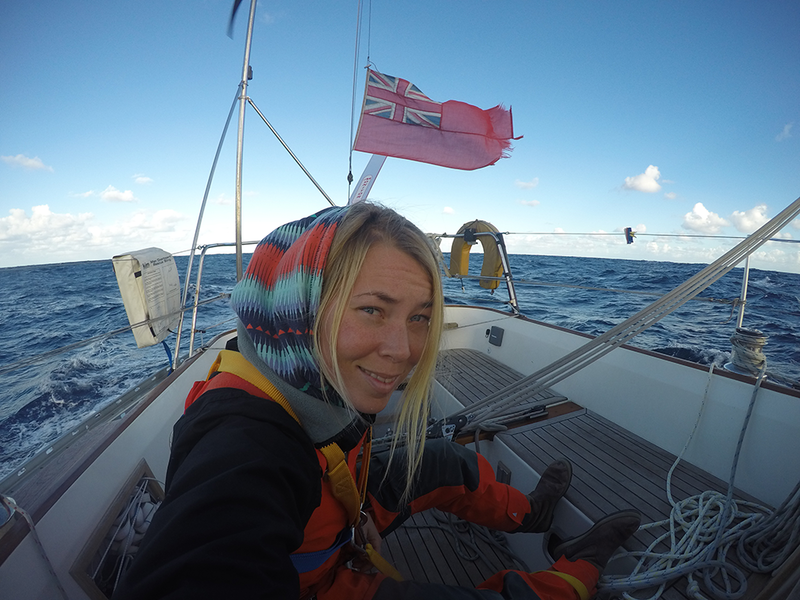 Winter of 2017 I did a solo loop of the Atlantic to get to know the boat I am using for the Golden Globe Race. 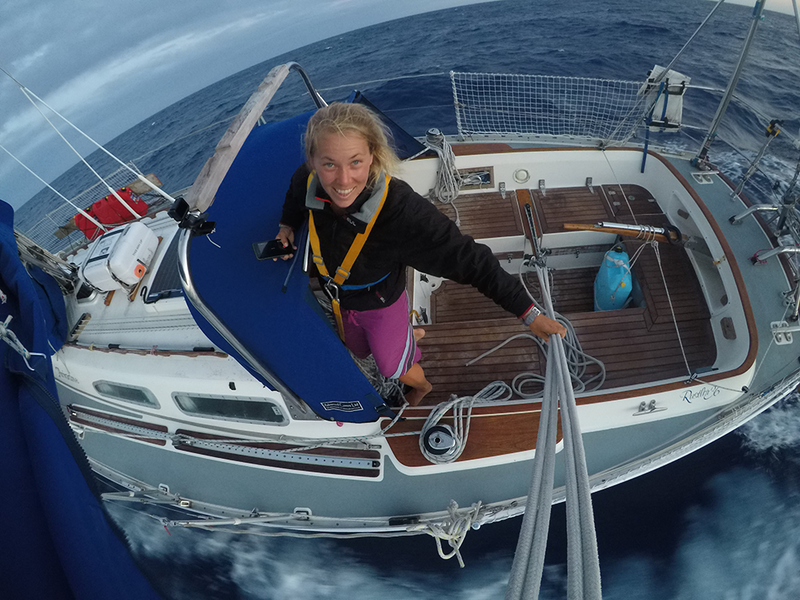 My sailing is very much Atlantic based but I have done a little in the Southern Hemisphere. Most of my sailing at the moment is either solo or with a crew to somewhere really nice and cold. 5. What inspired you to enter the Golden Globe Race? I thought ‘why not?’ It’s there to be done and I thought ‘what a great idea’. 6. In between training and preparing the boat, do you have time for a regular job? I have been working on an expedition boat, but in the last few months I have just been focused on the race and preparing the boat and myself. The race quickly became full time. 7. Tell us about your boat for the race? She is a Rustler 36 called DHL Starlight. So 36 foot long, built in 1995. All the boats approved for the race have to be of a certain design which is as close to the original race as possible. 8. Have you done much solo sailing before? Quite a lot, enough to know I enjoy it. But I enjoy sailing with people too. 9. What appeals to you about the challenge of sailing solo? Every decision, whether good or bad, is yours. Everything is on you, you’ve got no one to turn to for support. I think because it’s that much harder than sailing with a crew it’s appealing. That’s not to say that sailing with a crew is easy, there’s just a different set of challenges. 10. What will you be doing to cope with being on your own? I have lots of books to take with me, and cassettes. As part of the conditions for the race we can’t take any mod cons, so no iPod or Kindle. 11. Can you tell us a bit about the route, starting this June? How many weeks will you be sailing? How many stops are there? The pre race starts from Falmouth on the 14th of June where we race down to France, Les Sable-d’Olonne. The actual race then starts on the 1st July from France. The route is down the Atlantic, round South Africa, underneath Australia, round Cape Horn and back to France some 9 months later. There are no stops! It’s 9 months at sea without stepping foot on land. 12. How many of you are taking part in the race? There are currently 22 skippers in the race but it is open to 30 so there may still be a couple more. 13. When do you leave, and when are you hoping to finish? I leave France on the 1st July and hope to be back March 2019. 14. What will keep you going when the going gets tough? In the really tough times it will be the support I have at home that is the biggest boost. How much time and effort has been invested in this, not just by myself but from all the people that are supporting me. 15. What are you most looking forward to and what are you most dreading? I think Cape Horn is the bit I’m most looking forward to, but also the bit I’m most nervous about. 16. How/when will you sleep? I will sleep when I can, if I’m near land then it’s in very short power naps but out in the open ocean it’s much easier to get and hour or two in one go. I have a steering vane that steers the boat to the wind direction when I’m sleeping. 17. What are likely to be the biggest challenges of the race? Being on my own for 9 months is definitely the biggest challenge. 18. What appeals to you about using natural and organic products? They are as close to nature as you can get and with minimal impact on the environment. I see the state of our oceans every time I’m out sailing which makes me more conscious of where products come from and how they affect our planet. Plus they are so much better for me, and feel that much nicer too. 19. When did you first discover Weleda? First time I used Weleda I was a baby, my mum used the products on me and my brothers when we were small. 20. 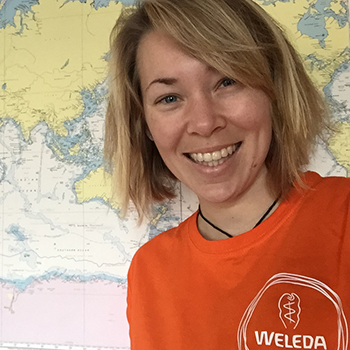 What are your Weleda essentials for sailing/for the race? Skin food, and more Skin Food! And face creams. My skin takes a serious beating from the elements. 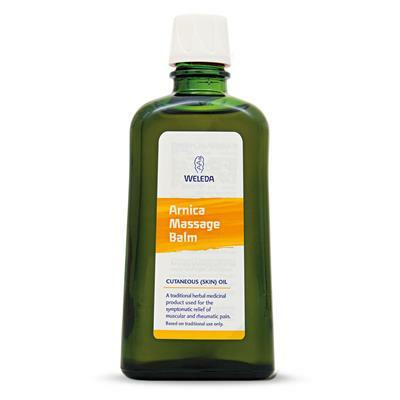 Also Arnica oil is the best for when I’m really aching and as there is no ‘recovery day’ for 9 months, it’s constantly go, arnica is a must so that I can just keep going. 21. 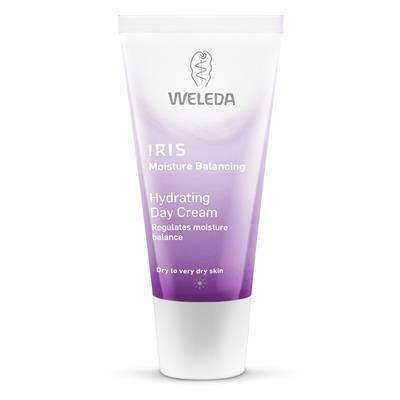 Do you have any particular Weleda favourites? 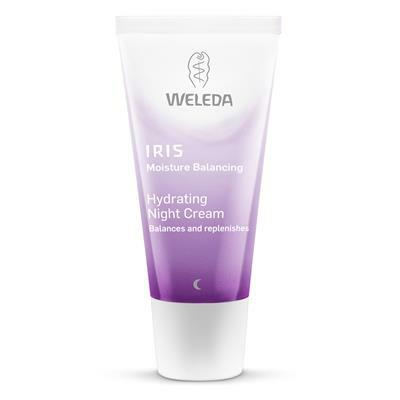 I have not tried a single Weleda product that doesn’t feel amazing so it’s hard to choose a particular favourite, but Skin Food and the Iris Facial Cream are absolutely wonderful. 22. What are your plans for your return? There are currently too many plans, which I will need to narrow down. I will have a solid answer for that on my return.